Little Nightmares has plenty of style, and lots of interesting story elements, but unlike Limbo or Inside, fails to live up in the gameplay stakes. “Little Nightmares” clearly takes some themes and inspiration from Inside and Limbo, but can it live up to those fantastic indie games? 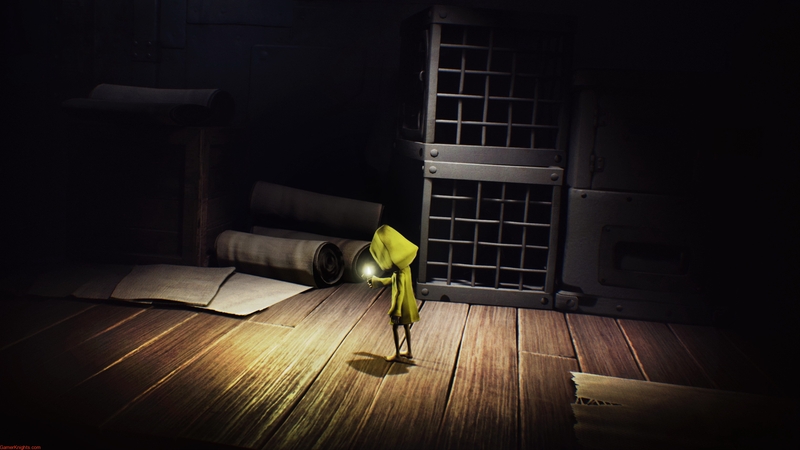 Little Nightmares has you play as Six, a small, yellow-anoraked child, who wakes up in some dystopian hell factory/ prison, and tries to escape from their surroundings. Like the sources of inspiration, there’s no ‘story’ per se, no narrator, no collectable audio logs or notes, and very little in the way of cut-scenes. The story instead plays out as you progress through the game. And despite the silent protagonist, the game has some interesting things so say, particularly around themes of being trapped and hunger. 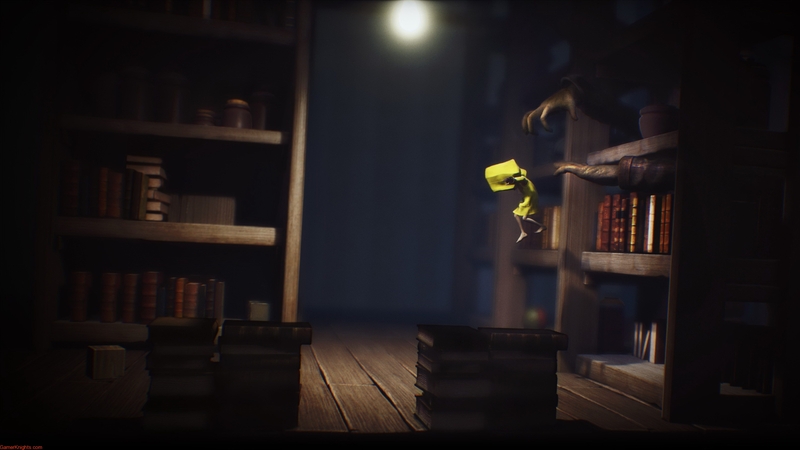 Again, like the inspiration, Little Nightmares is a 2D adventure/ platform game, although there is a Z-axis here, to allow for a little more freedom and exploration. Many of the game’s best secrets are hidden as a result of carefully playing with the depth of a level, which certainly adds something to the replay value of this otherwise short game. One of the achievements is for completing the game in under an hour, although a first playthrough will take a good 3-4 hours. The adventure aspects of Little Nightmares are far better than the platforming aspects though. There are plenty of little hidden areas, collectables and the like to discover, along with some interesting achievements/ trophies to be found, but the controls work against the platforming, some of which requires a level of precision or timing that is almost impossible to pull off. The controls are quite slow and cumbersome – which is fine when you’re trying to escape from one of the antagonists, but when trying to time a jump it’s just not. Many of my deaths felt like the game working against me rather than a failure of skill or timing, which is a recipe for frustration. Little Nightmares does look particularly good, with a really superb art style that conveys the vision of the story themes perfectly. The character models really add to the sense of horror, from the grotesque janitor with his elongated arms to the grotesquely obese humans that chase you through crawling, presumably because they are too large to stand. Light plays a big impact on your surroundings, and the dynamic lighter that you carry is particularly effective. Many of the backgrounds are simple – functional rather than spectacular, but there are still several ‘wow’ moments, such as when you realise your prison is rather more nautical in nature than you first would realise, and again at the very end of the game. 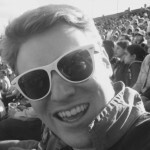 There’s no speech, but the sound effects and music certainly add to the overall atmosphere. I know they are cheap, but perhaps a few more jump scares wouldn’t have gone amiss. 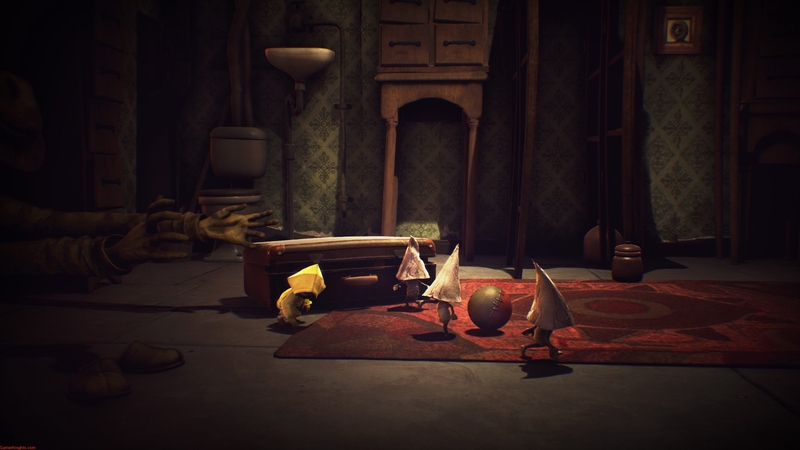 “Little Nightmares” looks and sounds great, but unlike the source of inspiration, it doesn’t play great. The controls are listless and feel more suited towards the survival horrors aspects of the game, rather than the precision platform elements, which are frustrating as a result. There’s some interesting story beats to think over, but given the price and relative brevity of the game, I’d hold off for a sale.